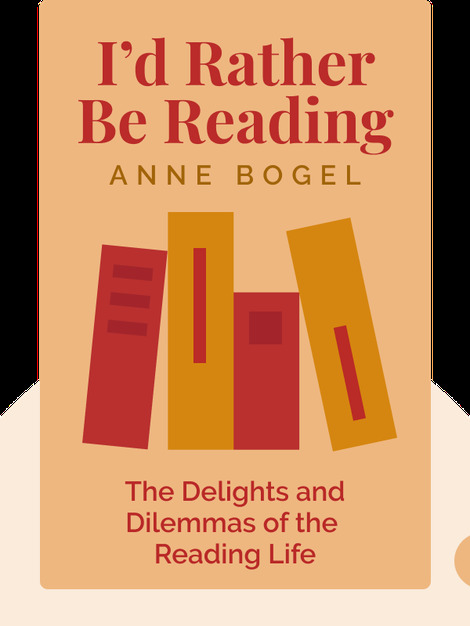 I’d Rather Be Reading (2018) is a collection of stories and anecdotes that document the life of a bookworm and offer advice to fellow bibliophiles. From overflowing shelves to forbidden reading, these blinks offer a colorful take on what it means to be A Reader. 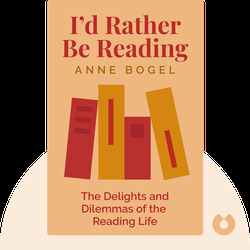 Anne Bogel is the author of the internet blog Modern Mrs. Darcy and presents the podcast What Should I Read Next? She has also written several guides to reading and book lists, including her own Reading People (2017). She lives in Louisville, Kentucky with several thousand books, four children and her husband.